The past couple of days I needed a break. What better place to find yourself than the beach? This is one of my nursing school buds, Ashleigh. LOVE HER. She has been my rock through nursing school and is definitely my person. How fabulous is my hat? I got that at J.Crew a while back. I love floppy hats and finally got to wear one! This is Isle of Palms. My favorite beach as i've said before. The waters were so clear the other day, I really felt like I was somewhere else. I feel lucky everyday to live somewhere with such beauty. Just doing some driving? Oh i'll soak up all the sights along the way. How cool. 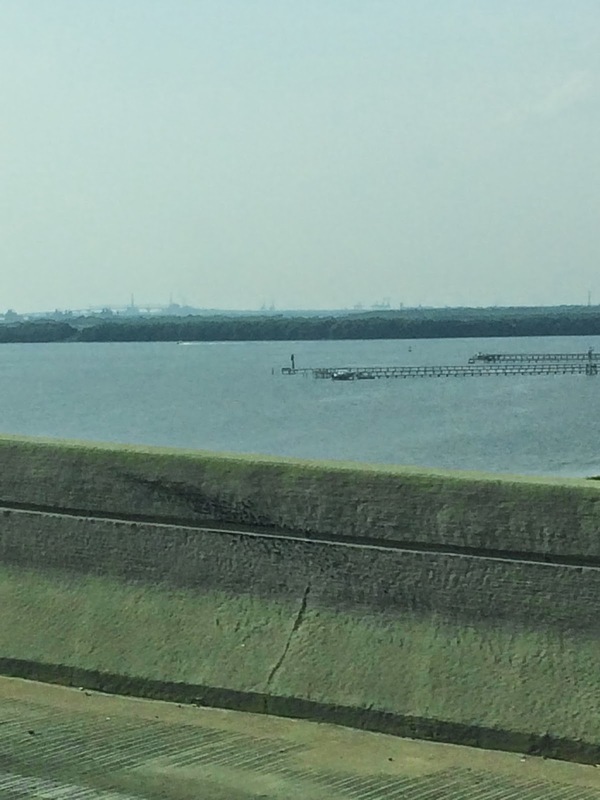 I love being able to see boats in the water as I drive by. 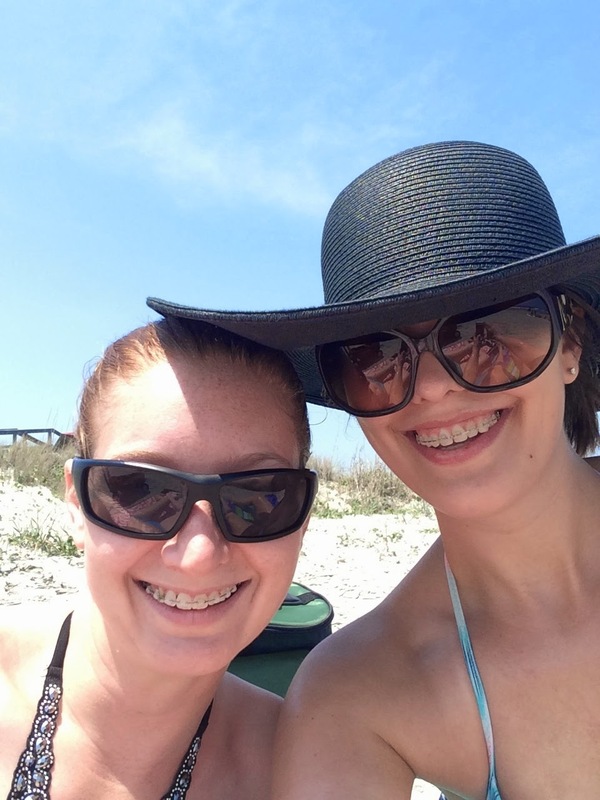 The next day I went to Folly beach with my bestie, Olivia. Yes, this is a random bus on the side of the road, but it's totally the Folly beach vibe. Just look at those waters. It doesn't get any better than this. 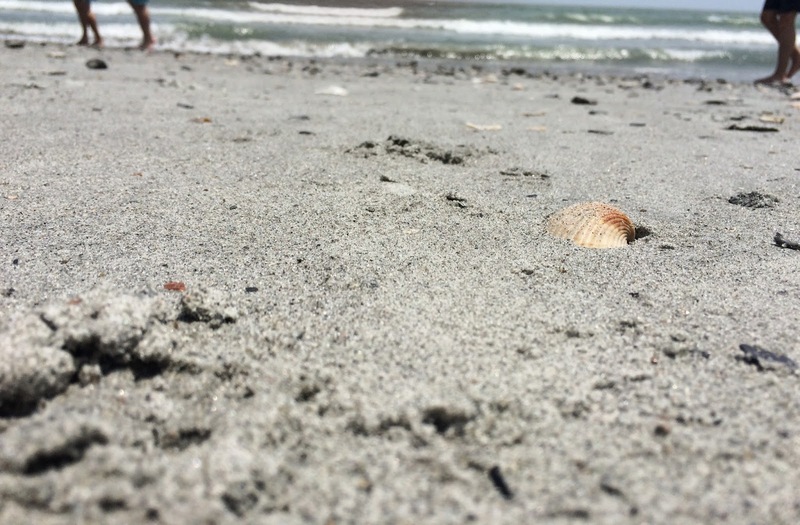 Folly beach is a beach that has a very different vibe from Charleston. It really is it's own little beach town. Loving time with a great friend. 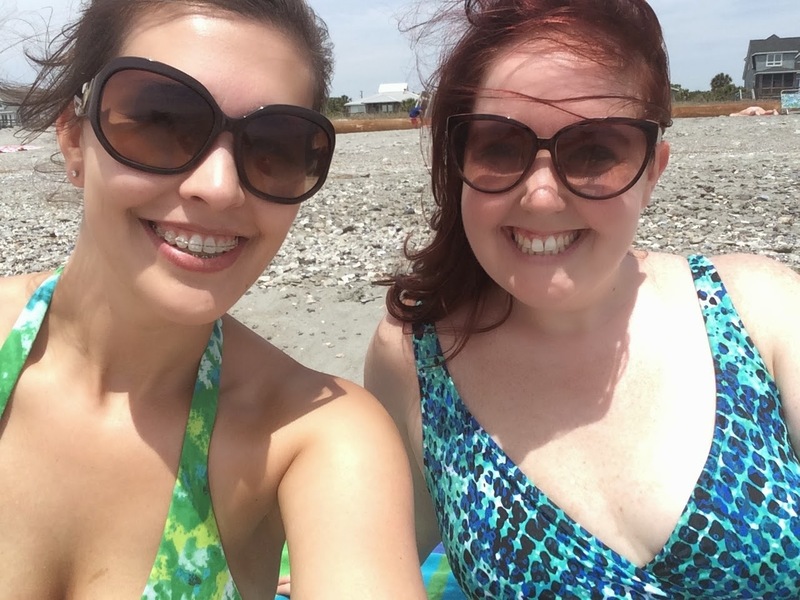 Sometimes all you need is the beach and your bestie to clear your mind. I just love her. Yes, I have accrued a million swim suits while living here, it's wonderful. Not a care in the world, life is good today. Of course, I'm eating all the time. I can't help it. 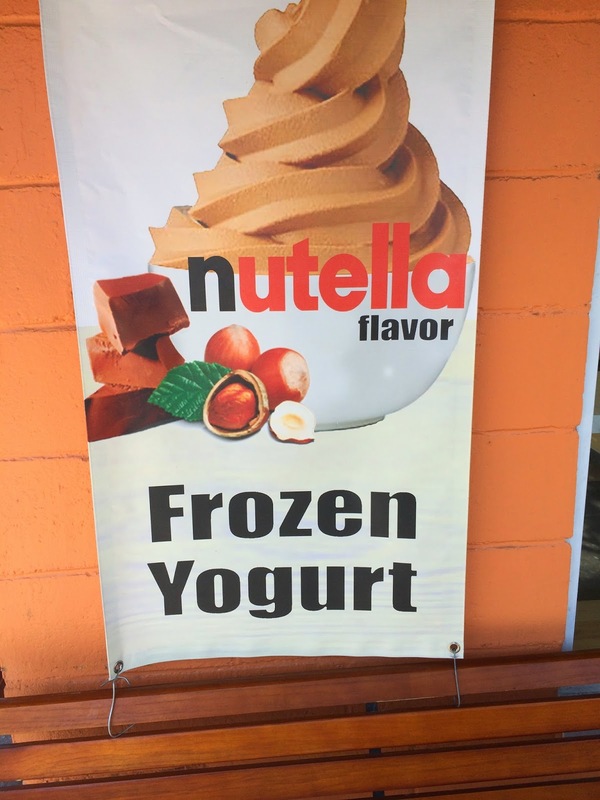 I found this great froyo place that serves this flavor. My goodness, I could live to eat Nutella everyday. We found a cute little place to eat called Snapper Jacks. Its a local restaurant/bar with super fresh fish and $2 mimosas. The Madrid soccer game was on, everyone is gearing up for the world cup! I have to say I don't watch soccer that much, but the world cup is exciting. 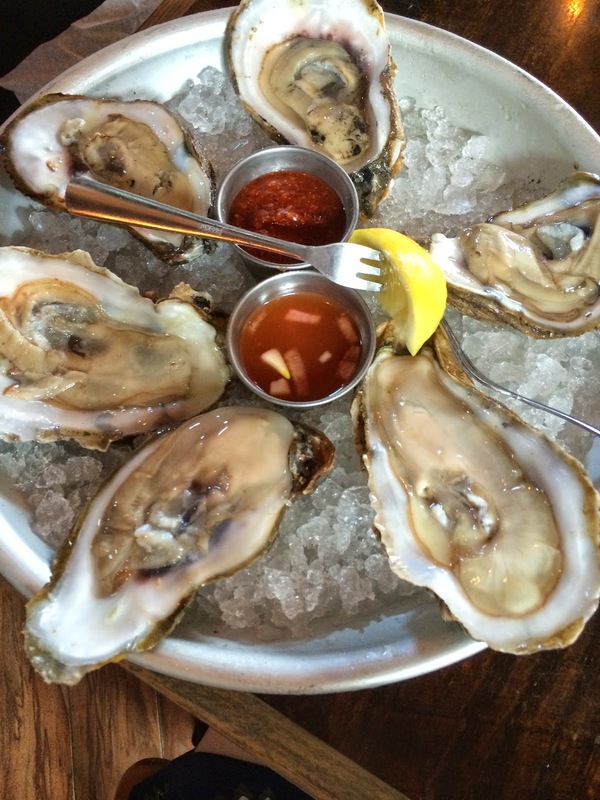 One of my all time favorite seafood is RAW OYSTERS ON THE HALF SHELL. I could easily eat my weight in oysters. I know, I know they look like boogers, but if you are an oyster fan, the cocktail sauce is to die for. I'm a huge fan and would come back for these in a heartbeat. 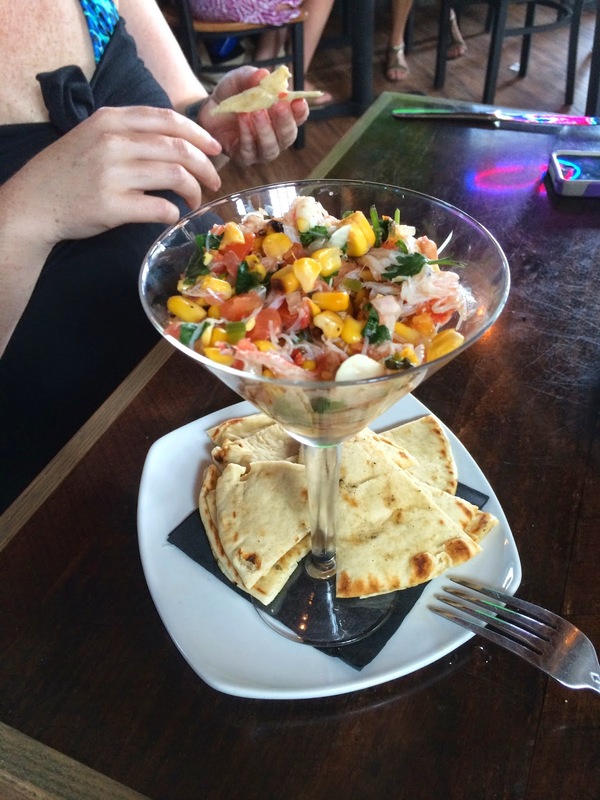 Crab Cocktail was a hit as well. It had real crabmeat, cilantro, fire roasted corn, tomatoes, jalapeños and lots of good seasoning! You must get it! 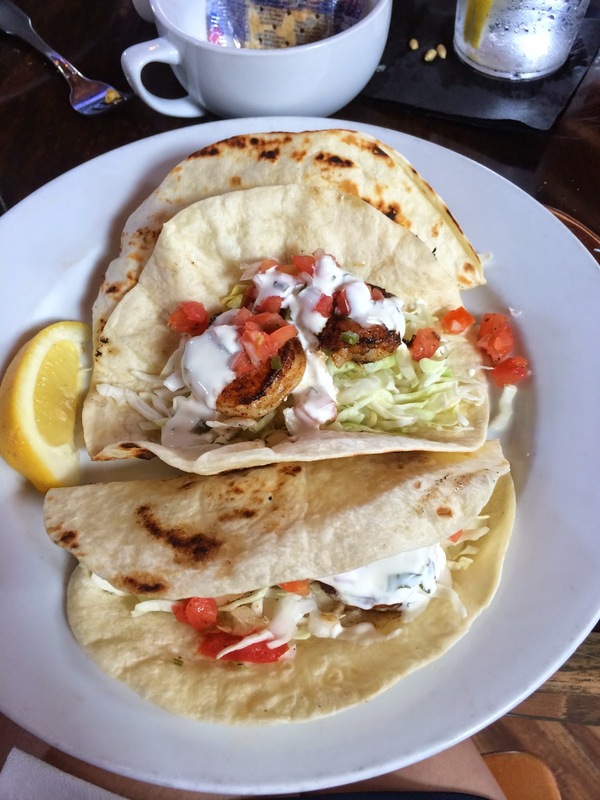 For my entree, I got shrimp tacos. They were good, however, I would get the fish and chips if I ever came here again. And this is totally off topic but for all those with braces... that actually floss. These things are freaking life saver. I only find them cheap at Walmart, but these were definitely a big part of my day. LOVE THEM. I definitely feel refreshed and am looking forward to starting school back on Tuesday! I still plan to spend a lot of time at the beach this summer and even more time with friends. Do you live near the beach? Mountains? !